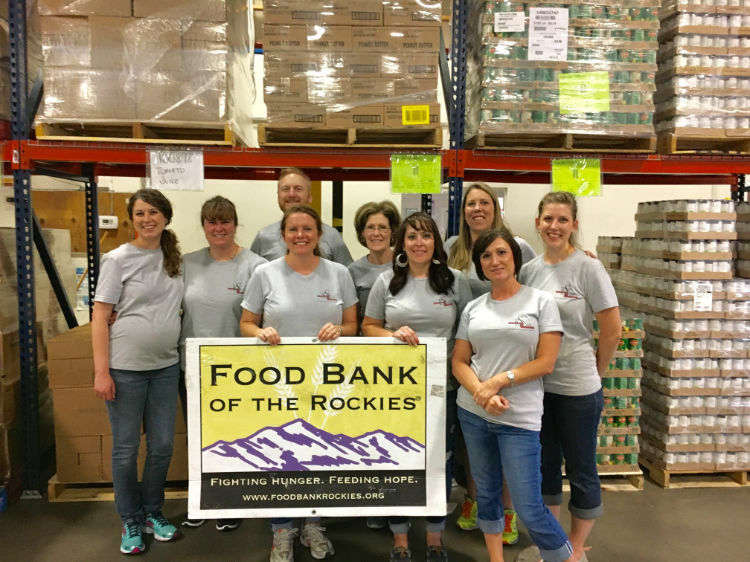 On Friday, September 9th, nine members of the RSS team traveled down to the Food Bank of the Rockies TEFAP (The Emergency Food Assistance Program)Warehouse in Denver to volunteer. This particular warehouse is funded by federal grants and is part of the USDA Federal program that helps supplement the diets of low-income Americans (Coloradans in this case), including elderly people, by providing them with emergency food and nutrition assistance at no cost. 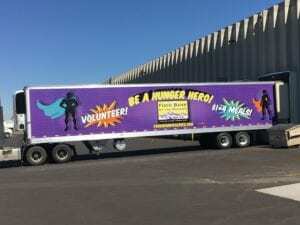 This particular warehouse helps support Food Bank of the Rockies’ agency partners, food banks and pantries. It reminded us of a large Costco with huge supplies of bulk food products. We were incredibly impressed by the organization of the program run in this building. We spent Friday afternoon pulling and building orders from their supplies to be delivered to local area food banks and pantries. We had the responsibility of preparing orders that would be going out to be delivered in the next week. We were given an order for a particular location and then we would pull the items from the shelves and place them on pallets, verify the order, wrap the pallet, label the pallet, and moved it to the appropriate location for pick up. According to the warehouse manager, Zack, our RSS team pulled 2,758 lbs. of food per person to fill orders that day. That’s 24, 822 lbs. total! He also said that our volunteer work would provide over 24,000 meals to hungry people in our community. Wow! We were so humbled and so excited to be a part of this amazing program. 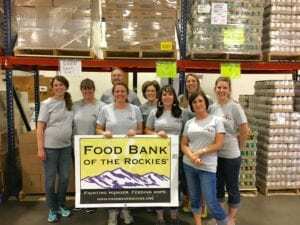 We had a great time, worked hard and look forward to another opportunity to serve with Food Bank of the Rockies. 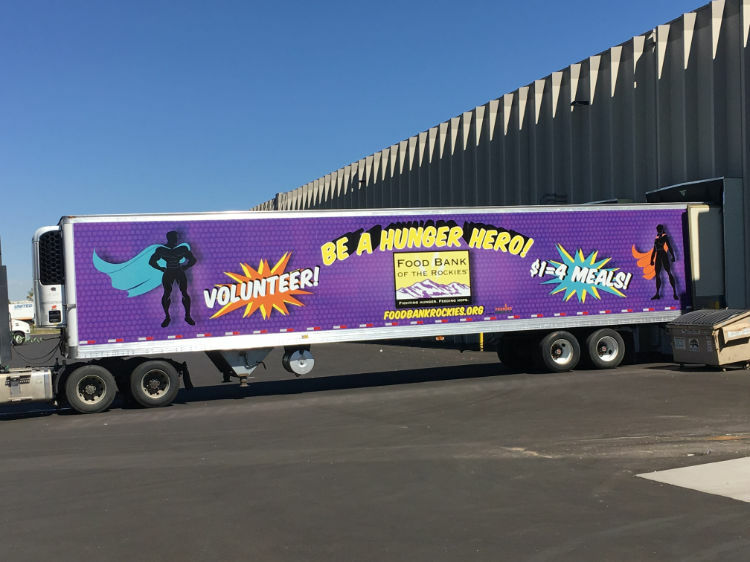 We encourage you to learn more about the great work Food Bank of the Rockies is doing in our community and in our state.